I will refrain from using caps lock out of respect for your eyeballs, but just know that, from this sentence on, every word in this article should be read as if it were written LIKE THIS. For too long my fellow Disney fans have despaired that you can only buy the Disney Starbucks mugs on Disney-property Starbucks locations — no easy feat for any traveler, considering the mugs can easily sell out during the day, and even if they don’t, they’re a heck of a gamble to try to get home unbroken on a flight. Well, y’all, shopDisney has come to our collective, nerdy rescue, because for the first time ever, you can buy the Disney-themed Starbucks mugs online. If you’re unaware of this collab between Starbucks and Disney, then allow me to introduce you to the thing that is about to drain your bank account: for years now, Starbucks’ "You Are Here" collection — those iconic city, state, and location mugs you see on the store’s shelves — have also provided specific ones for Disney Parks. And I mean specific. There isn’t just one for Disneyland and Disney World; there’s one for the Magic Kingdom, for Epcot, for Disney’s Animal Kingdom, and pretty much all of your favorite hot spots in the parks. 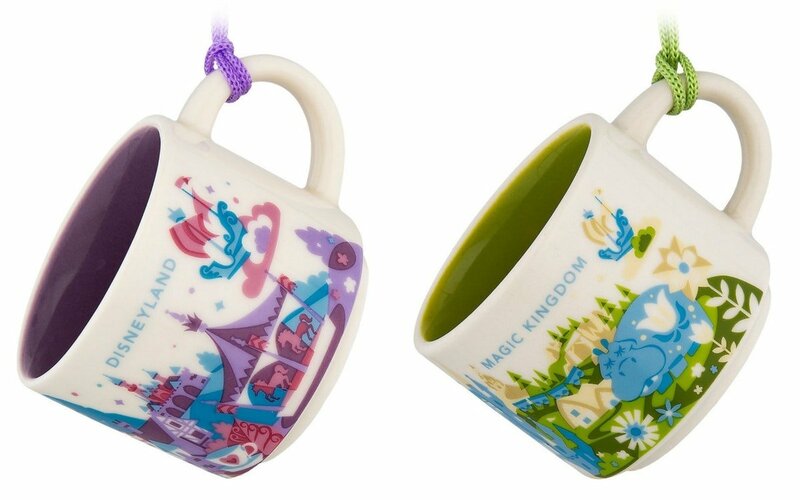 The existence of these mugs have been well-documented by collectors and dedicated Disney Instagrammers, but short of getting yourself to a park and immediately scoping out a Starbucks to snag one, they’ve been nearly impossible to get without shelling around twice their retail value on eBay (a fact that I know because I, uh, maybe checked a few times). Now, though, shopDisney is selling them for $16.99 a piece — with a bonus! The mugs also come in tiny ornament form, just in time for the holidays. First, though, the mugs — here are all of the ones you can buy online right now. I don’t know about y’all, but I can already hear my cupboards groaning under the weight of all these. Is it too late to upgrade to a slightly larger apartment to accommodate my Disney-ing? Once you’ve finished perusing the mugs — which, at 14-oz. each, are respectably sizable — you can take a look at their mini versions, in ornament form. First, here’s the pink Disneyland one that I’m more than a little salty about, since it doesn’t appear to be available in the full size (wink, nudge, COUGH, shopDisney!). And here’s the blue version of the Magic Kingdom mug in ornament form as well. The website also has Epcot, Disney’s Animal Kingdom, Disney’s Hollywood Studios, and Disney California Adventure available in mini mug ornaments as well. Needless to say, these all make perfect gifts for the Disney fan in your life; they even come in the little gift box that you get when you buy it in the stores. But also needless to say, these make even better gifts for yourself, and if it’s wrong that I purchased mine before I got around to writing this article, well — it’s too late to be right.